Group Discussion Ideas > Political GD Topics > Can India get into NSG? ‘Nuclear Suppliers Group’ (NSG) is a group of Nuclear supplier countries that are allowed to trade in & export nuclear material technology. It was formed in 1974 to limit exports of nuclear equipment, materials and technology, because India tested Nuclear weapon in the same year. NSG’s membership will boost India’s atomic energy sector. In 2008, during a summit by NSG, India made a formal pledge that it would not share nuclear technology with others and will not test nuclear weapons. USA, UK, Russia, Australia, Japan, Mexico, Canada and French have shown support to India’s membership in NSG. China is the strongest opposer to the India’s entry into NSG. It is expressing opposition, because India is not a signatory of NPT. China demanded that if India is allowed into NSG, Pakistan, which is also not a signatory of NPT, also deserve membership in NSG. Turkey, Austria, Ireland, New zealand are also opposing India’s entry into NSG, as it is not a signatory of NPT. According to Non-Proliferation Treaty (NPT), 1968, the spread and expansion of nuclear weapons is prohibited to maintain global peace. NPT mentions that only 5 countries – USA, UK, Russia, France & China are allowed to keep their nuclear weapons, and all other countries are prohibited to do so. 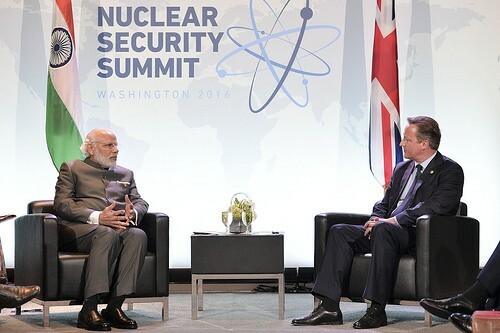 India didn’t sign NPT, because this agreement is discriminatory. And also without nuclear weapons India’s security will be at risk in this modern era. Except France, all the members of NSG are signatories of NPT. India has good support and well track record to get into ‘Nuclear Suppliers Group’. If India can garner the strongest opposer China’s support, the way to NSG’s membership will be cleared. sir according to my knowledge the reason behind the opposing of india by some country’s is that if india entered in nuclear supplier group than it can be easily share his weapons and nuclear equipments to other country’s and by doing the same it would be enough strong or can say that India will be recognised among powerful country’s and on other hand by the support of country’s it should get the veto power . Because China is not a signatory of “Missile technology control regime” (MTCR),China desperately wants MTCR membership. China had applied for MTCR membership in 2004 but get denied, because members of MTCR considered its non proliferation record dodgy. But thanks to US and the work hard of our venerable pm Narendra modi that India is a member of MTCR. So now China is playing a game with India. It likely opposes India with motive of ‘Allow us into the MTCR and we will not oppose India’s entry into the NSG’. The second reason I think, China is a all weather ally to Pakistan. And Pakistan is not having clear non proliferation record, because Abdul Qadeer khan, A Pakistani nuclear physicist. He was responsible for illegal trading of nuclear technology to some countries like Iran, Libya and North Korea. So if India becomes a NSG member, it can raise this issue to hurdle Pakistani bid in NSG entry, where China has concern for his all weather ally Pakistan. An other reason i consider is…. It’s nuclear power in Asia. China gains top position in Asia for nuclear technology. If India enter to NSG, it will fluctuate asian flow on nuclear technology. Which will adversely affect Chinese powerful position in Asia. But I think there is no need to plead in front of China for it’s support because accordance with a report of 2016 The NSG baton is about to change and will be powered by Switzerland, it strongly supports India and can counter China’s implacable resistance to India. China will find increasingly very difficult soon to sustain its argument that all non NPT signatories are not allowed to get entry in NSG. ? Sir I think the reason behind China’s opposing India’s entry in to NSG…..